A trend that’s a bit atypical for the upcoming season is that of highlighter-hued pieces that seem to be scattered among the black, burgundy and green that tend to take over in the fall. 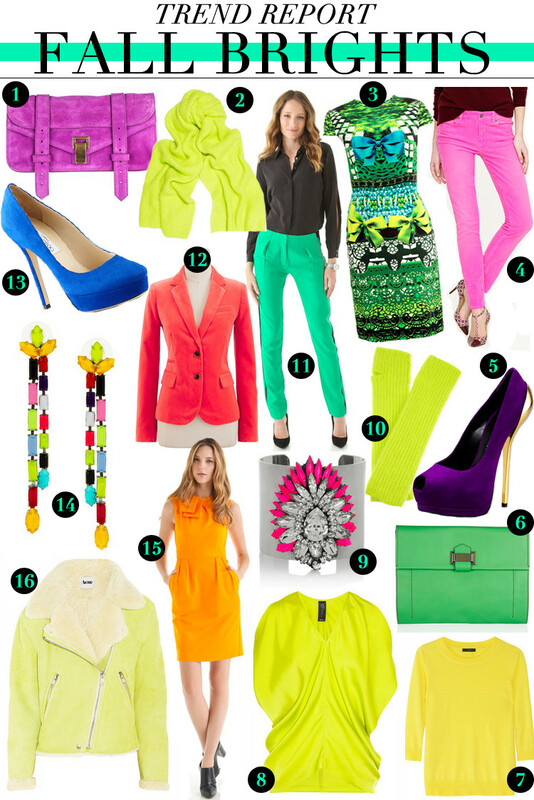 I love it – bright shades add a youthful glow to a drab outfit. Here are some pieces that are winter-worthy and are colorful enough to brighten up any day!